This Saturday, May 3, 1 p.m. to 5 p.m., on the lower grounds of the Armed Forces Retirement Home, Rock Creek Church Rd & Randolph St., NW, Washington, D.C. The cool jazz sounds of Herb Spice & The Cinnamonstix and The Nicole Saphos Group Cecily. A large outdoor checkerboard and lawn bowling! Courtesy of President Lincoln’s Cottage, kids will get a chance to participate in two of Lincoln’s favorite games on the same campus he called home for a quarter of his presidency. Back by popular demand! A 60-minute nature walk of the Home’s lower grounds at 2 p.m. with Mary Pat Rowan, a landscape architect who will talk about native plants, and Philip Blair, a geology expert who will talk about the site’s fascinating underground. Children will be able to design their own crown and take a picture with Sleeping Beauty’s Princess Aurora and the Prince! Kirov Academy of Ballet of Washington, located just outside the Soldiers Home campus, will host this special exhibit. Free yoga beginners class on the lawn at 3 p.m., courtesy of Yoga Heights on Georgia Avenue in D.C.! Bring your mat or a beach towel or sit right down on the lawn. Carnival Games: Corn hole toss, lawn darts, putting mats, lawn dice, volleyball, horse shoes, bucket toss, ring toss, bocce, knock the pyramid. Local food vendors — Captain Cookie and the Milk Man, Crusty Dog DC and Pollo Loco. Hiking, biking, picknicking and fun. This is a FREE event, with a $5 donation per car for those who drive in. 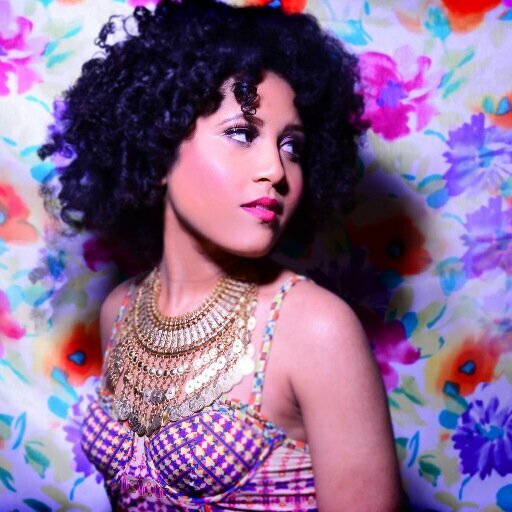 D.C.’s own pop-soul singer Cecily! She’ll sing to the cool jazz grooves of Herb Spice & The Cinnamonstix! 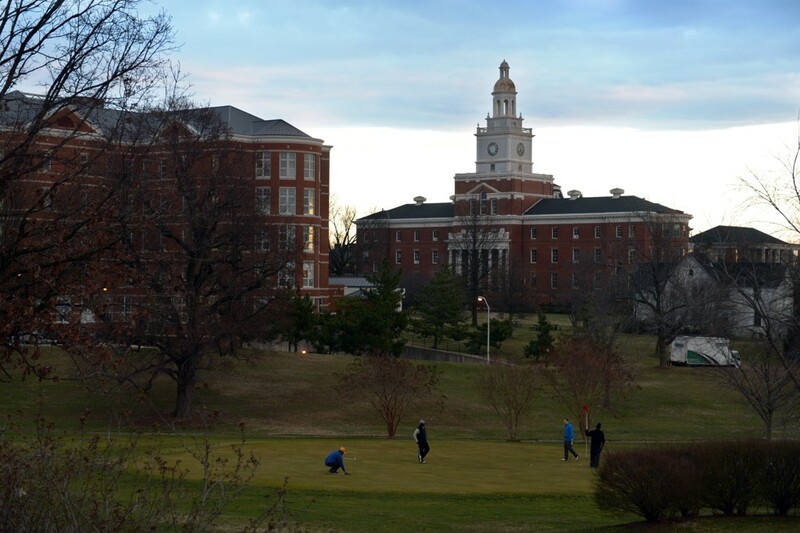 Friends of the Soldiers Home is grateful to our sponsors for this event: Armed Forces Retirement Home Resident Fund Advisory Board, GreenLine Real Estate, Annie’s Hardware and DCMTB, D.C.’s only mountain bike racing team. Are Resident Edward Woessner and Friends volunteer M.C. Russell ready for “Dancing With The Stars?” You bet! Finally it is Spring! The spirits were high at Happy Hour on Tuesday, April 29. This is a great time of year to celebrate. 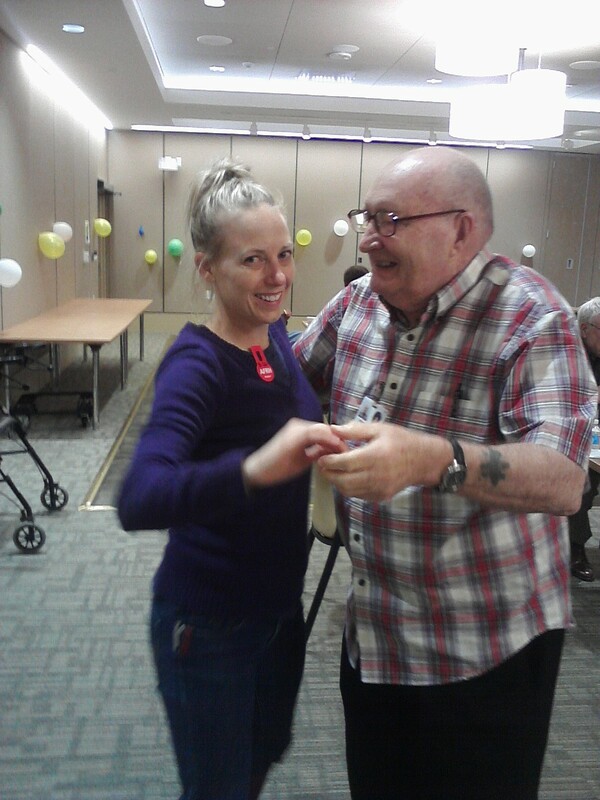 There was a great combination of volunteers, who engaged residents in deep conversation and even dancing! There were also bad jokes and quizzes and prizes offered by our Emcee, and beautiful background music spun by resident DJ extraordinaire Ray Anderson. If you haven’t joined us, please do, it’s a marvelous evening to enjoy some party food, drinks and conversation. The volunteers also enjoy catching up with each other since a month has passed from the last Happy Hour. Remember, Happy Hour happens the fourth Tuesday of each month. Come and join us! If you would like to come, drop a note to volunteerfriendsofsoldiers (at) gmail (dot) com. Friends volunteers made sure residents had their favorite food and beverage at Happy Hour on April 29. Residents of the Armed Forces Retirement Home had a good time making connections with volunteers in pleasant conversation at Happy Hour on April 29. 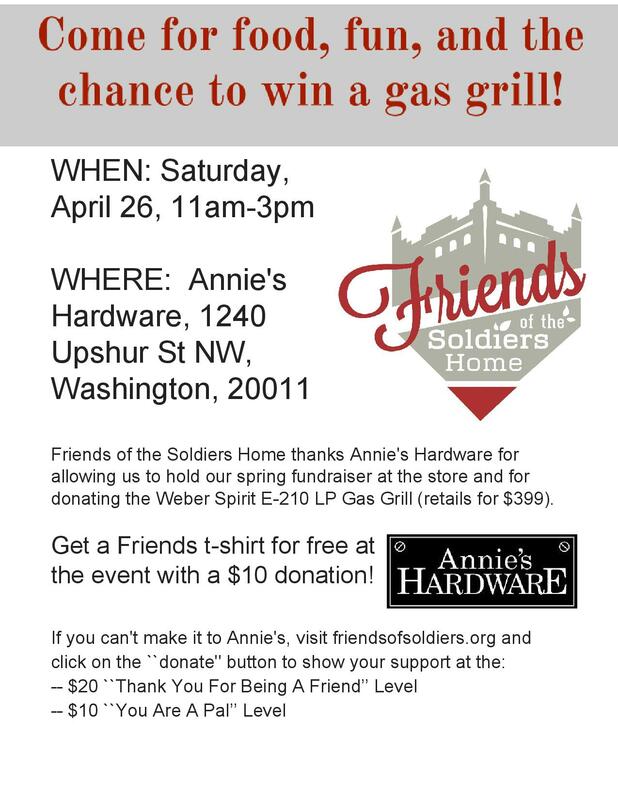 The weather forecast outside Annie’s Hardware Saturday is 70 degrees and sunny when Friends of the Soldiers Home holds its Spring Fundraiser from 11 a.m. to 3 p.m. at the store, 1240 Upshur St. N.W., Washington, D.C.
Come and have a hot dog, buy a t-shirt or buy a chance on a Weber grill that retails for $399! 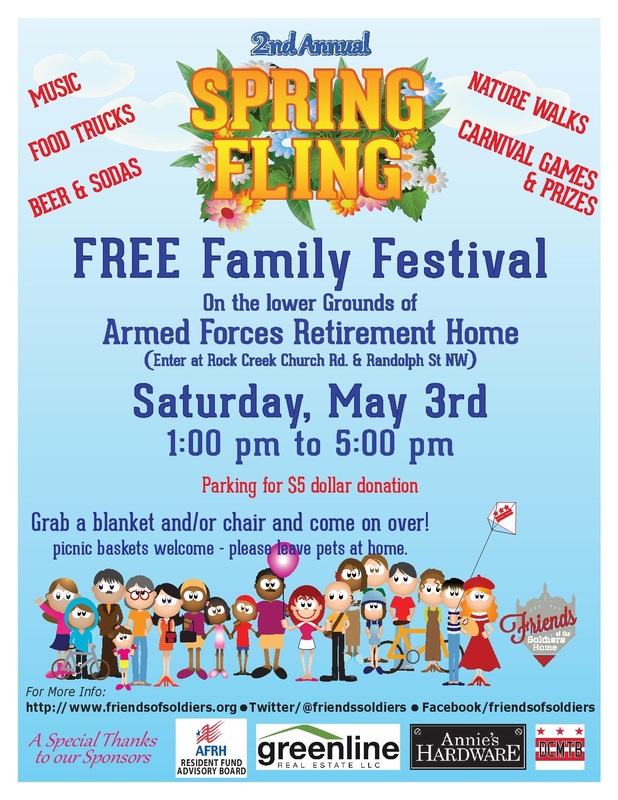 Fundraisers enable us to host festivals such as Spring Fling at the Soldiers Home on May 3 that are free to members of the public. They also support our volunteer projects for veterans that have costs, such as Saloon Night With Friends, which is very popular with Soldiers Home residents. We are grateful to everyone who has supported us since our first full year of existence in 2012 and hope that you will continue to do so. 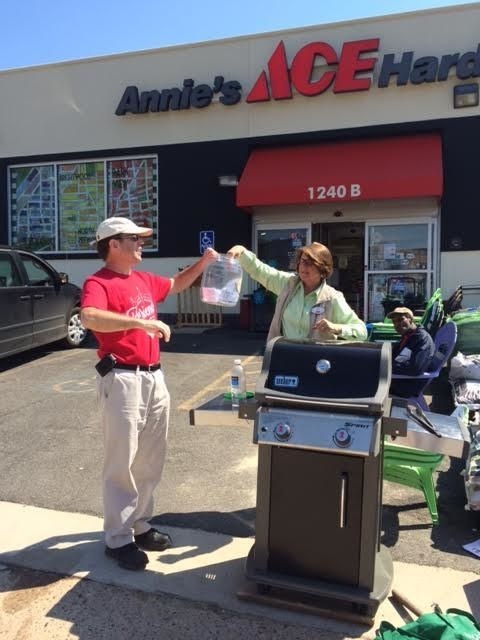 We thank Annie’s Hardware for hosting our Spring Fundraiser at the store. If you can’t make it to Annie’s, remember that you can donate at our website, friendsofsoldiers.org. World War II veterans were welcomed home to the Armed Forces Retirement Home yesterday following a special visit to the conflict’s memorial on the National Mall. A Marine band played, active military members saluted and many members of the community came out to wave flags and say thank you. Some of the WWII veterans were Home residents while others were flown in as part of the Honor Flights program.